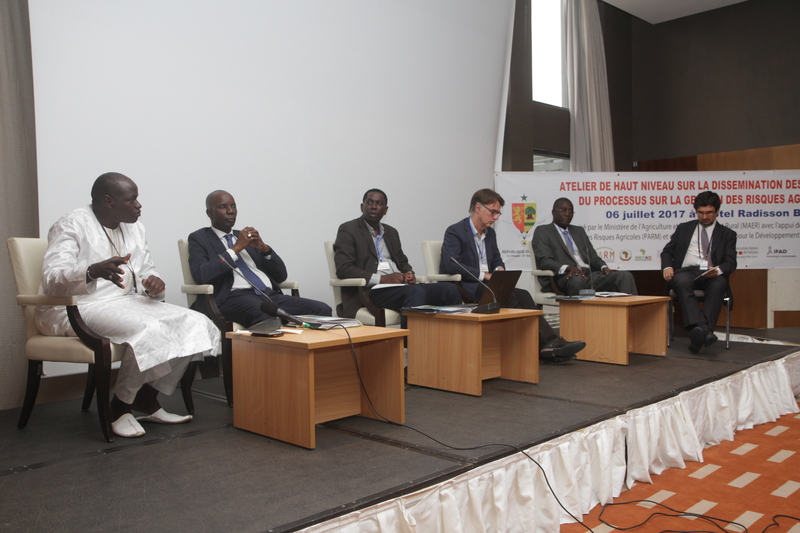 The High Level workshop organized by PARM with the support of the Ministry of Agriculture (MAER) and NEPAD was held in Dakar on the 6th of July 2017. The main goal was to share the final results of the PARM process to the Senegalese authorities and to the bilateral technical and financial partners. Establish a roadmap on the sustainability of agricultural risk management activities in Senegal. The results of the feasibility studies on remittances and access to information were also shared. The tools addressed raised the interest of the government and the technical and financial partners, whom confirmed their relevance and the need to put into place synergies to ensure their implementation.